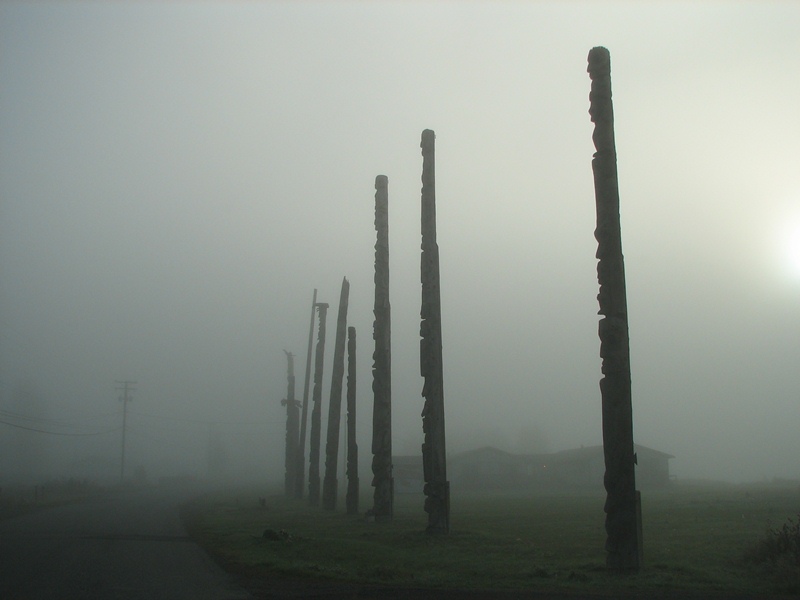 Totem Poles | British Columbia ROCKS! Native villages exist all over British Columbia and some of them have been inhabited for a very long time. 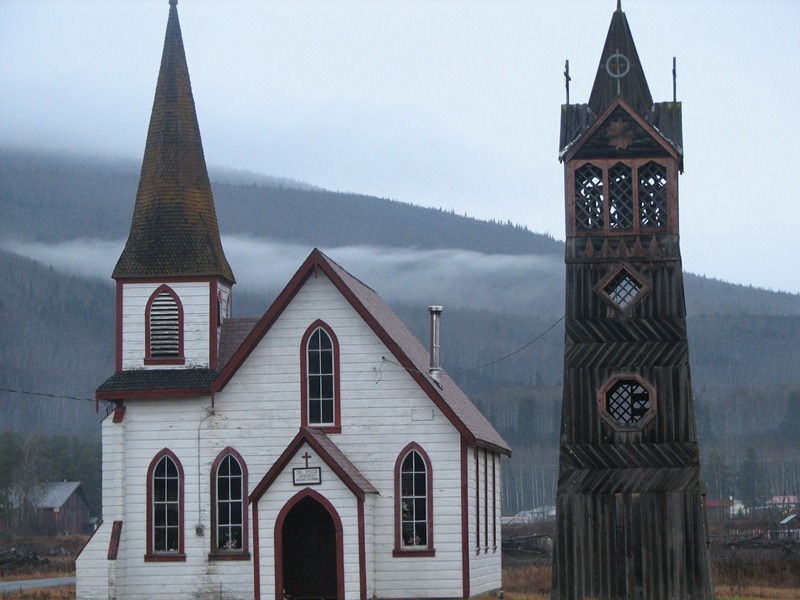 In many of them one can find old small churches, some with bell towers beside them such as in the photo below. This structure is in the village at Kitwanga in the North West region of the Province. Through out this area are many wonderful old villages set in some pretty scenic areas. Kitwanga village hosts a number of very old totem poles as well and these can be seen as one drives down one of the roads through the village. Each pole tell a story and it is well worthwhile to ask the locals about them. Each of these areas are well worth exploring. As you will be on a Native Reserve please be courteous and dont speed down their roads. This entry was posted in British Columbia and tagged aboriginal, gitwangak, hazelton, highway 16, native village, stewart cassier, totem, totem poles, totems. Bookmark the permalink. Reblogged this on The Red Articles.